DONETSK, February 24. /TASS/. Member of the Ukrainian parliament Nadezhda (Nadiya) Savchenko has arrived in the self-proclaimed Donetsk People’s Republic (DPR) to visit Ukrainian prisoners, a source with the DPR State Security Ministry said on Friday. Savchenko was accompanied by Vladimir Ruban, head of the Ukrainian center for prisoner releases of the Officer Corps public movement. "Ruban and Savchenko came to visit Ukrainian prisoners," the source was quoted by the Donetsk news agency. 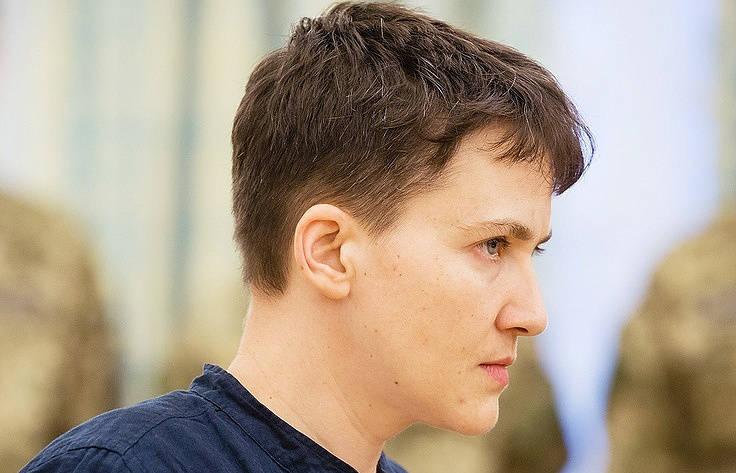 Earlier, Savchenko released the lists of prisoners of both the Kiev side and militias of the self-proclaimed Donetsk and Lugansk People’s Republics. Most Ukrainian politicians came up with sharp criticism of Savchenko and the Security Service said the MP had violated law by publishing the prisoners’ personal data without their relatives’ consent. Prisoner exchanges in the all-for-all format is one of the key provisions of the Package of Measures on the implementation of the Minsk agreements that was signed in the Belarusian capital Minsk on February 12 after marathon talks between the leaders of Russia, Germany, France and Ukraine. 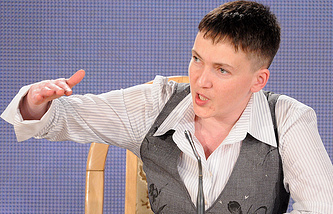 Nadezhda Savchenko, one of the most colorful personalities in the Ukrainian political scene today, was accused in Russia of involvement in the killing of Russian televisions reporters Igor Kornelyuk and Anton Voloshin in much-troubled eastern Ukraine in the summer of 2014 and an illegal crossing of the Ukrainian. On March 22, 2016, a court in Russia’s southern Rostov region sentenced her to 22 years in a general penal colony. On May 25, President Vladimir Putin answered a request from the reporters’ relatives and signed a decree on pardoning her, after which she took a flight from Russia to Kiev. During Savchenko’s stay in a pretrial ward and in a penitentiary in Russia, Batkivshchina (Fatherland) party led by former Prime Minister Yulia Timoshenko propelled her to the Rada on its party ticket and made her a representative of the Rada in the Parliamentary Assembly of the Council of Europe afterwards. At the end of last October, Savchenko tendered a request for quitting the party and was dismissed from it on December 15. On December 22, the Rada also crossed her out of the list of members of the Ukrainian delegation to PACE. Savchenko fell into disfavor with Ukraine’s ruling milieus after her trips to the self-proclaimed unrecognized Donetsk and Lugansk republics where she made public the new civil platform called the Runa.